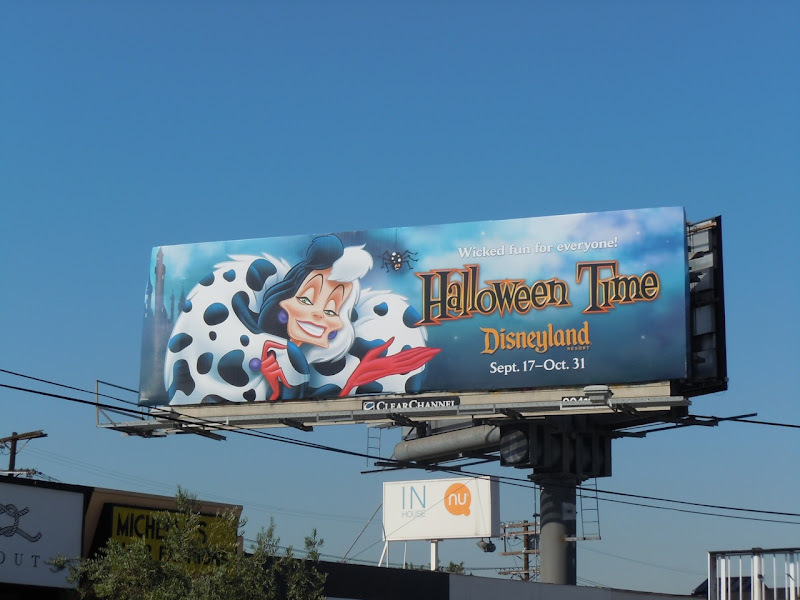 Here's another of those fantastic Disneyland Halloween Time billboards featuring some classic Disney villains to get you in the mood for the spooky season. 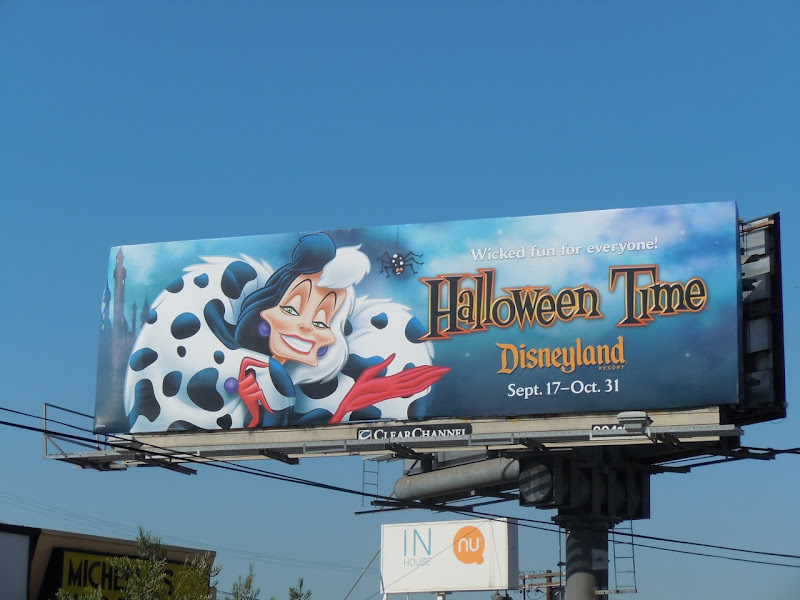 This one features that Dalmatian loving (well their fur anyway), Cruella de Vil, and was snapped along 3rd Street and Fairfax Avenue in L.A. on October 11, 2010. Wicked fun for everyone, indeed. UPDATED: If you're a fan of this classic Disney villain, be sure to check out these fantastic costumes worn by Glenn Close as Cruella de Vil in the live-action 101 and 102 Dalmatians movies.